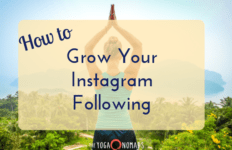 I read an article last week that stated nothing has exploded yoga into the mainstream marketplace like the advent of Instagram. As a purely visual medium, Instagram has the ability to portray incredibly powerful images that spark emotion within us. While our physical world may be confined to one limited time and space, Instagram opens up alternative worlds for us to loiter within. Whether we watch voyeuristically or get actively involved in these worlds, their messages- both direct and subliminal- cannot be understated. 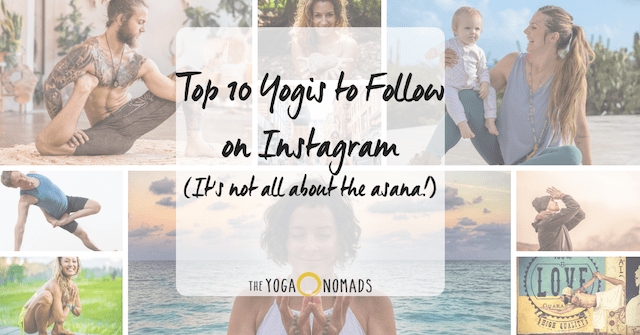 The intrusion of Instagram into the world of yoga and vice versa is a hotly debated subject. We have heard these arguments and pondered the conundrums and ramifications extensively. Dipping into the pessimistic viewpoint, Instagram has been blamed for diffusing the potency of the yoga practice and tradition. The plethora of slim, young, attractive women flopping effortlessly into asana poses in bikinis has dramatically changed the worldwide perspective and understanding of what it means to be a yoga practitioner. These types of images can come across as intimidating at best, and downright insulting at worst. Wading through the barrage of flying accusations, we reach another perspective that approaches the Instagram phenomena in the yoga world as inspiring, uplifting and unifying. Popular accounts can be educational in nature, motivational in their message and contribute to positive self-image and empowerment. 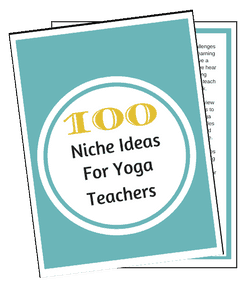 Highly respected and experienced teachers can help to unravel the complexities of yoga, making it more accessible and appealing to the general population. 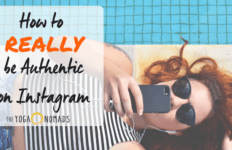 Instagram has the power to spread not only the practice of yoga, but the positive connotations and lessons it embodies. Sometimes it can be challenging to navigate through the barely-clothed inversions and yoga paraphernalia that does dominate much of the Instagram arena. When we are more concerned with wearing the right yoga clothes, having the right filter and mastering the most Instagram-worthy asanas, we arrive at a destination that almost needs a new name; we seem to have outrun yoga and continued to a new strange land. 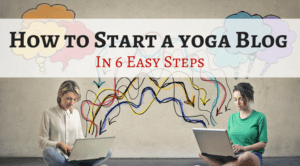 However, there are accounts that are preserving the traditions of yoga as well as bringing their lessons and the practice into modern digital times. There are accounts that are concerned with the vital components of yoga that are not limited to asana. There are accounts that have managed to find an inspiring balance of showing and telling, offering answers and also raising questions, catering to the spectrum of practitioners from the yoga-curious to the yoga-addict. If you google top ten yogis on Instagram (which I did multiple times before diving into the article), you will find pretty much the same yogis each time; yogis with massive followings, yogis with impeccable asana shots, yogis who could give up their teaching occupations and become overnight models. Of course, these insta-famous yogis are indeed knowledgeable and often have years of decades of practice under their yogi strap. In fact, I am even going to include a few of them below as they do have so much to offer. What I also wanted to explore though, was some of the perhaps lesser-known accounts that have so much to offer also. Let’s bare in mind that how many followers we have on Instagram doesn’t correlate with our worth as a human being or our proficiency as a yoga teacher or practitioner. 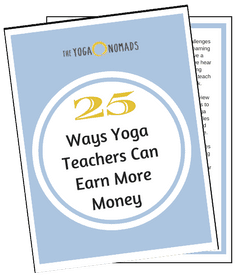 It isn’t uncommon in this Instagram- fueled environment to hear of professional yoga teachers who are struggling to find teaching jobs in studios because they don’t have large Instagram followings. To ‘make it’ as anyone, in any profession these days, having a significant social media presence is almost essential. 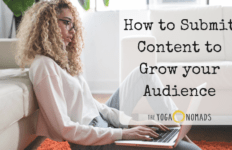 Yet, this doesn’t mean blindly surrendering your true authentic voice to follow a predictable ‘successful’ trajectory of swoon-worthy asana images. Yoga is about finding your soul – not giving it up. 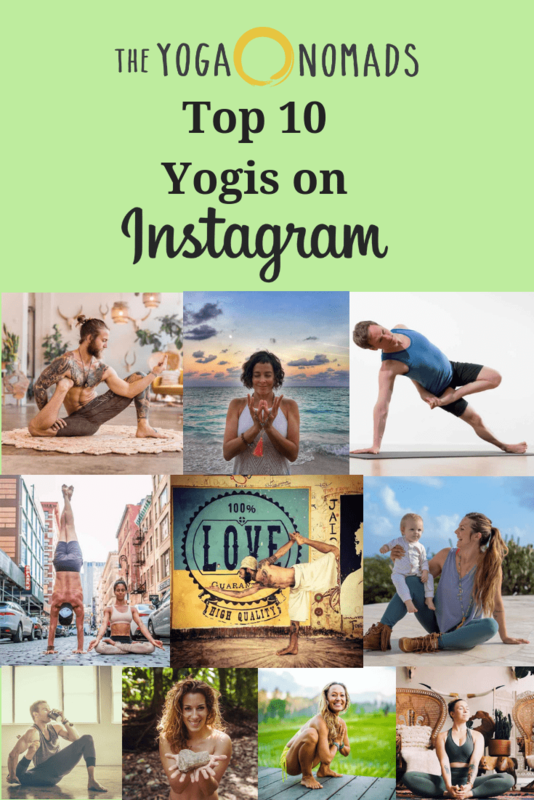 Yogi’s who do have large Instagram accounts all too often admit that when they post anything ‘deep’ about yoga, they can drop up to tens of thousands of followers in one post. While the opposite is true when they post an advanced asana picture. We are genetically predisposed to attractive visual stimuli. It is one of the things that makes us human and makes our species survive. But we are also emotional beings. Spiritual beings. We are drawn to those we share a common bond with. We thrive in community. We expand through challenge. We grow through inspiration. All of these qualities are possible through the medium of Instagram. And that, is one of the most exciting qualities that this platform offers. Yep it’s true, Kino will grace every list of ‘must-follow’ yoga accounts. However, it is for so many reasons. Kino shares stunning asana images and is a truly dedicated yoga teacher and practitioner. Her years of wisdom and experience shine through in her insightful captions. Her daily posts are deep, informative and educational. They are also exceptionally real and honest. Kino does a masterful job of embracing both the traditional teachings of India’s historic past and the popular contemporary social media channels (Kino is also one of the few yogis to have received her certificate from its founder S.K Pattabhi himself). Kino inspires and motivates her online tribe, with a heartfelt message of following your dreams and working hard to achieve them. Rachel Brathen may indeed have the largest following of any yoga account on Instagram and is responsible for the hashtag #yogaeverydamday that has over 14 million tags. 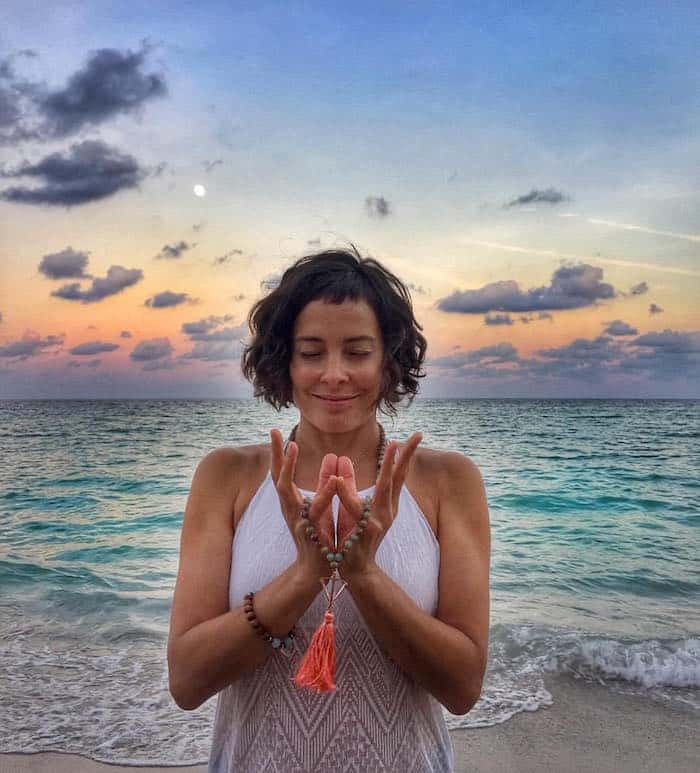 Yet, this yoga teacher based in Aruba is one of the most honest and brave-hearted souls, frequently speaking her mind and dealing with all that comes with being real in a judgmental world. She shares her journey as a teacher, a mother, a wife and a real human being and you simply can’t help but fall in love with her. One of the earliest yoga accounts to be granted with ‘Instagram fame’ hasn’t gone to Rachel’s head. She is incredibly grounded and is also a really inspiring activist. She founded oneoeight.tv, an online yoga community with classes to take at home, nutrition tutorials and resources, and 109world.com an online community that works on social projects around the world. She also fosters stray dogs and finds them new homes on the island. Rachel is an inspiring example of how to use social media to inspire positive change. The energy and joy that emanates from Honza and Claudine is contagious. This love-filled duo are remarkable acro yoga practitioners and lead teacher trainings all over the world. Their account is full of their travels and teachings, and also their adorable two year old Sofi Phoenix (who has her own Instagram account of 16K). The family share their lives with their community as if they are chatting away with a dear friend over a cup of chai. Of course, their asana shots are swoon-worthy, yet their message is also authentic and unfiltered. Recently, after a scare in India on a motorbike, Honza and Claudine took a break from Instagram to check in, slow down, spend time with together and reflect on what truly matters in life. It was a great reminder for their followers to do the same. Their love for one another, the practice and their community is truly moving. Amy started yoga at the age of 16 with her Mom- way before Instagram and way before yoga was even embraced by the West! 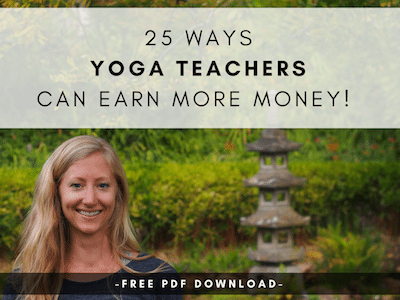 Since then, she has become a well-known international teacher and studio owner and is passionate about helping yoga teachers make a living in the world doing what they love. Amy shares wonderful tips on alignment and proper adjustments, as well as the importance of remaining true to yourself and living from the heart. Amy’s girl-next-door nature and infectious smile is coupled with an inspiring activist streak. Her photography projects with Taro Smith combine yoga and underwater marine life to help raise awareness for the environment and all of its living creatures. Like many people, Daniel found yoga when he was in a dark place. An accident while in University shattered seven bones in his foot and required Daniel to learn how to walk again. During this time, he found yoga. Starting out with very basic poses, Daniel made remarkable progress and very soon, was also drawn to the philosophy of yoga, sparking his move to the Sivananda Ashram in the Bahamas where he lived for a year, diving deeply and passionately into yoga in all its myriad forms. 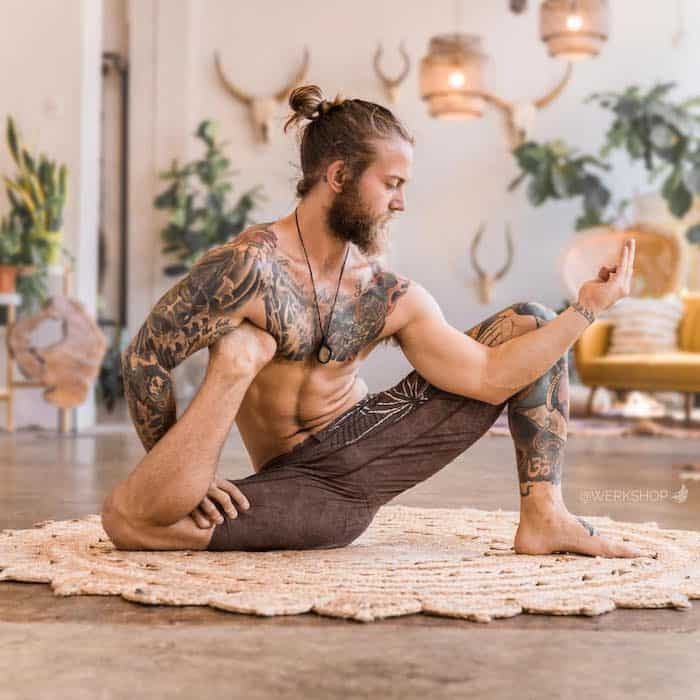 Daniel’s unique yoga journey makes his Instagram posts rich and diverse. While his physical asana poses are utterly breathtaking (he teachers inversion-based alignment), his captions are often deep and philosophical, bold and provoking. One of the downfalls of the popularity of yoga on Instagram is that it can deter people from the practice and make people question their own self worth. It can be an arena of judgement that can often instil poor body image and self deprecating emotions. One yogi on a mission to change that is Lauren Rudick. 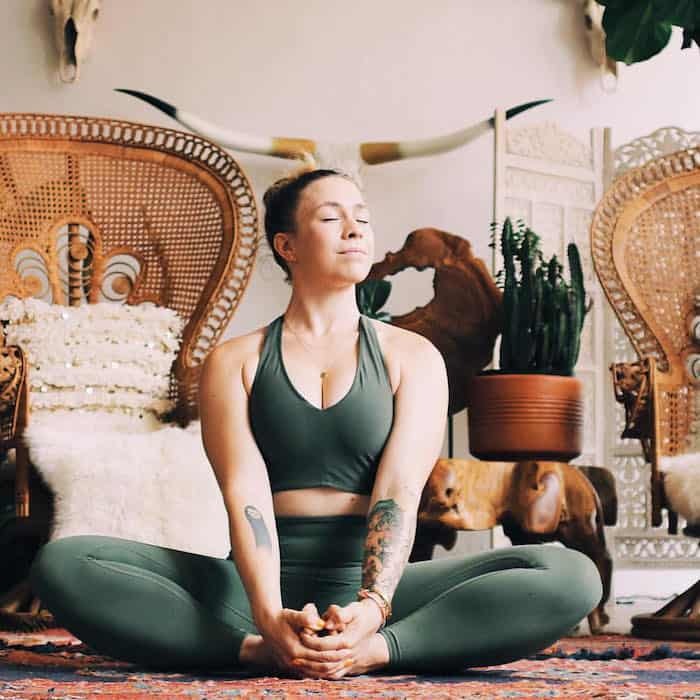 Bold, brave and #honestAF this yogi is all about boosting your self-love with her empowering commentary on life and yoga. Lauren founded the Yoga Academy International that aims to change the way yogis are educated and deliver quality yoga education from a heartfelt place. Her enthusiasm for life and her honest reflections on this thing we call ‘being human’ are entirely refreshing. 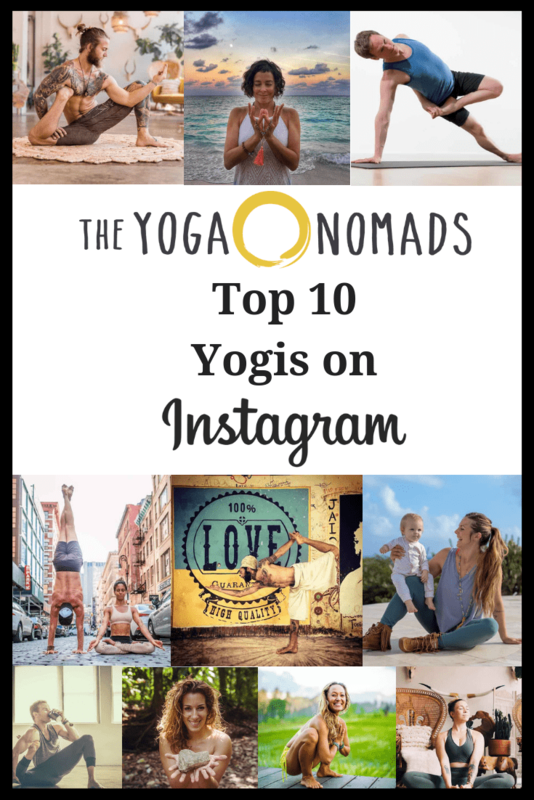 While researching this article, I came across another post that was dedicated to Instagram accounts that yoga teachers themselves follow. From there, I discovered Trip Aum Santi and was quickly enamoured by the visually stunning images of traditional yoga masters and life in the motherland of Yoga- India. Behind the images are stunning insights into the philosophy of yoga based on the Yoga Sutras. Trip has written his own book, Yoga Katha, where he ponders questions while meditating on Patanjali’s Yoga Sutras. Trip’s perspective, insight and translations are such a breath of fresh air; he has an amazing ability to stay objective and not over analyze the Sutras, but bring awareness to their meaning in a way that is applicable to our current generation. Trip also has a Yoga Sutras app which is an incredible resource for yoga teachers and practitioners complete with a searchable sanskrit dictionary, and audio chanting of every verse. If you’re looking to dive into an authentic yoga lesson from the ease of your smartphone, check him out. Yoga instructor Michael James Wong created the project to inspire more men to come to the practice and develop a community united by the desire to be better, more compassionate human beings. James’ new book Sit Down, Be Quiet celebrates the way in which guys can take the first steps to a healthier, happier life in the here and now through yoga. For a good dose of proper alignment-based asana, Jason Crandall offers a wealth of knowledge to help you practice with safety and precision. Jason has more than 15 years teaching yoga under his belt and has led countless teacher trainings around the globe. His articulate and down to earth approach makes yoga accessible to everyone. 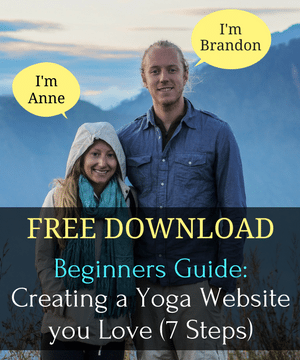 Jason’s daily posts offer great alignment cues and tips and also introduce you to hot topics in the yoga world as he and his wife Andrea (former Yoga Journal editor) interview yoga influencers around the world on their podcast Yoga Land. His quirky sense of humor is also completely endearing. 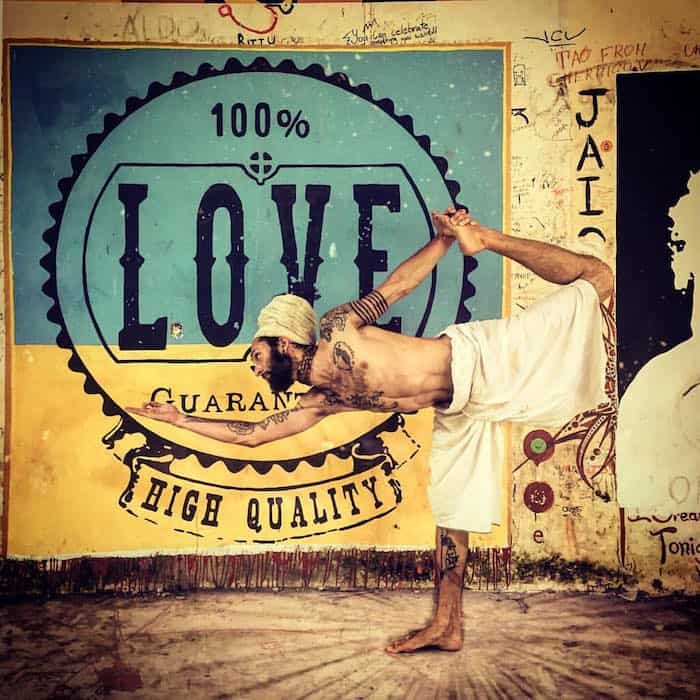 In most articles that outline the top-rated yogis on Instagram you will find Patrick Beach. You may not however be familiar with his wonderful partner in life (and often on the mat). Carling is a yoga teacher but also dabbles in writing, nutrition, cooking and women’s health. Carling is one of those what-you-see-is-what-you-get girls who doesn’t get all dolled up for her shots and whose smile is the only make up she ever needs. She is poignantly honest about her journey with yoga and is motivating in her infectious love of the practice. Dipping into her life at home, her life on the road, and her love of puppies and pizza, Carling is a stunning breath of fresh air and feel-good vibes in the world of Instagram. 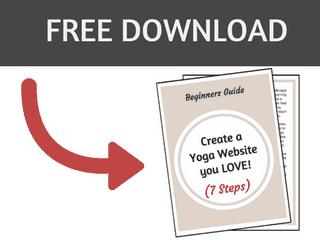 Click here to download your FREE Beginners Guide to Building your own Website!